The Marketing and Trends Guru: Seth Godin, bestselling author, entrepreneur and agent of change weighs in on the vinyl debate. Godin is author of ten books that have been bestsellers around the world, including the recently published book Tribes. theOCMD: After reading your book, Tribes, it became clear to me you are a music lover. I’ve have been musing over your notion of the ‘tribe’ and how it relates to vinyl’s comeback. Is there a correlation? To what do you attribute vinyl’s resurgence? Seth: Vinyl is handmade, it’s visual, I can show you my collection. It brings us closer. Vinyl requires effort to play. Especially if you clean it first. It’s a process and a ritual. Vinyl can be shared, digital is only given. And Vinyl is not the standard. Which means you can be in a tribe. There is no tribe of normal. theOCMD: The community of vinyl advocates seems to be evolving from cult status to a full-fledged movement. What’s unclear to me, however, is who’s leading it – the ‘tribe’ itself or the music industry? Seth: Not the industry, not at all. They’re too clueless to do that, too focused on large numbers as opposed to passionate users. theOCMD: It seems to me what made vinyl so unique and special was the fact that it was rare and inaccessible. As the format’s pervasiveness and accessibility increase, will the tribe be compromised? Will members defect and find something new to covet – like cassette tapes? Is vinyl just a trend or here to stay? Seth: The mantra of, “on one goes there, it’s too crowded.” There’s always the early adopter and outlier that likes something simply because it’s not popular. Vinyl has plenty of room, I think, to triple or 10x in size without losing most of the people. And I also think the expense and hassle will prevent it from ever being a mainstream product again. theOCMD: As a purveyor of change and ‘what’s next’ – what do you think the music industry look like in 10 years? Seth: Plenty of music, not so much industry. There’s no poetry industry, is there? theOCMD: Lastly, and for the record, analog vs. digital. Where do you stand? Seth: When I listen to music, I prefer to LISTEN. Background music is not so much my thing. And when I listen, vinyl makes me smile more. 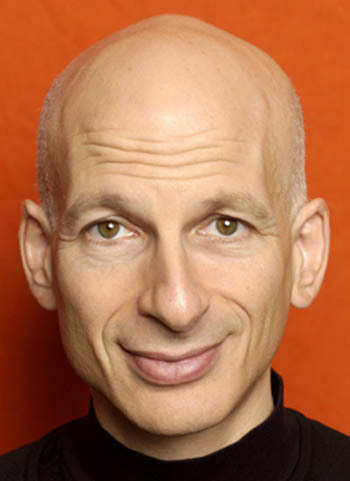 This entry was posted in Trendspotting and tagged music industry, seth godin. Bookmark the permalink. No apologies necessary. Thanks for the interview!